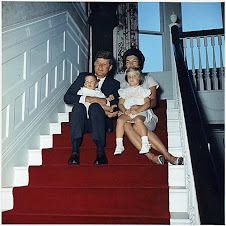 The Kennedy family has been part of Hyannis and Cape Cod since Joseph P. and Rose Kennedy bought a home in Hyannis Port in 1928 that became a family compound with homes of a president, a U.S. attorney generaland a longtime Massachusetts senator as well as the site of family tragedies and historical triumphs. Now the town of Barnstable wants to honor the role of the late President John F. Kennedy and the famous family in the history of Hyannis by creating the Kennedy Legacy Trail throughout the village. The town is partnering with nonprofit and business groups to create the cultural trail that will consist of interpretive signs and telephone dial-up information at significant sites. “The goal is Memorial Day to have the initial seven interpretive signs in place,” said Kate Kennen, owner of Offshoots Inc. of Charlestown, consultant on the project. 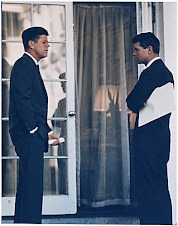 It will be the day before what would have been JFK’s 95th birthday on May 29, she noted. In addition, along Pearl Street, new lighting, sidewalk and pedestrian infrastructure is under way to link several of the sites together as a walking destination, according to a draft plan Offshoots created. The town received two sources of funding for the project; one for $50,000 from the state’s Gateway Cities program to cover the signage and marketing for the trail, Steve Seymour, senior engineer in the Growth Management Department, said. The other grant of $99,000 will come through the federal transportation budget for the infrastructure improvements on Pearl Street, which should be completed next year. The idea for the trail came out of a harbor study a few years ago, which was looking at ways to bring people to the area, according to Melissa Hersh, Barnstable’s arts and culture coordinator, “Self-guided educational walking paths generate a lot of interest,” Hersh said the study found. “The Kennedys played such a key role in the Cape and particularly Hyannis, so it was a natural for the area,” she said. 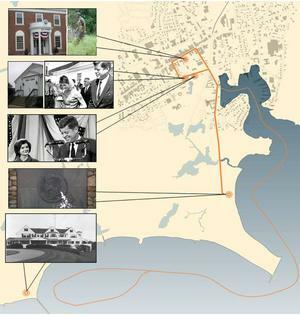 The interpretive legacy trail will incorporate existing Kennedy/Hyannis National Heritage sites, including the John F. Kennedy Museum; St. Francis Xavier Church, where the Kennedys worshiped and held weddings and funerals; the Hyannis Armory, site of the 1960 presidential victory speech; the John F Kennedy Memorial at Veterans Beach; and the family compound and Squaw Island, which are both viewable by boat tours. Additional sites along the harbor will include Aselton Park and Bismore Park to give more information about the Kennedys’ interests in the sea and other accomplishments. Each site will have a plaque with historical information. Additionally, visitors will be able to use a cell phone to call a number listed on the plaque and select options to hear information on that site. The content is being reviewed for accuracy and suggested content by the JFK Foundation Museum Board and others, Kennen said. The trail also is intended to enhance the town’s focus on revitalizing Downtown Hyannis for the past 10 years. The overall concept of the revitalization is to create a dense, mixed-use downtown core where Hyannis is a walkable, living, working and shopping community, attractive to visitors and local residents alike. The legacy trail is expected to add to the recent investments already made within the downtown core. The opening of the trail ties in well with the town’s application for a state-designated Cultural District, to be called HyArts, which will have more walking trails, Hersh said. The application has received an initial approval from the Massachusetts Cultural Council. The next step is a site visit and possible approval by May 22, she said. Pearl Street, considered an underutilized arts and culture district, will serve as a connection to the three main Kennedy sites in the downtown core. Located between Main and South streets, the street has galleries, shops and artists’ workshops, but the sidewalks are in disrepair and there are no streetlights for nighttime illumination and safe pedestrian passage. It is anticipated that the trail will benefit the commercial enterprises along the way. Town officials are working with the JFK Hyannis Museum and the Hyannis Business Improvement District to build on amenities already in place. Acting Town Manager Tom Lynch has been meeting with Kennen, the town’s Growth Management Department staff and representatives of the Hyannis Area Chamber of Commerce and others about the project. By using the town’s voice mail system already in place, the town will work with local nonprofits, ideally including the Hyannis JFK Museum staff, to create low-cost informational recordings. 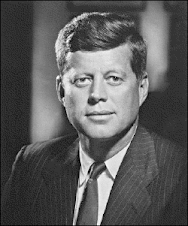 Kennen said she also will go to the John F. Kennedy Library in Boston to gather more content for the trail sites. A trail brochure will be available at the starting point, the JFK Hyannis Museum. 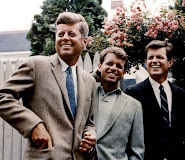 As a first phase of the project, the Kennen group has proposed to install a series of seven interpretive signs to describe the Kennedy heritage sites. The signs will be small plaques to complement new low maintenance landscape plantings, such as Knockout roses. The roses will tie in with roses currently used along Main Street, which serve as a visual indicator of publicly maintained areas. It was noted in the proposal that many people on Cape Cod associate the roses here with Rose Fitzgerald Kennedy, matriarch of the Kennedy family, who made her year-round home in Hyannis for many years and attended daily mass at St. Francis Xavier Church until her death in 1995. The trail stops at the three parks that relate the Kennedys’ love of the Cape’s natural environment, sailing and President Kennedy’s signing of legislation establishing the Cape Cod National Seashore in 1961.